Apple has added a nice feature in OS X Lion that allows you to synchronize the Address Book with your Google Contacts. 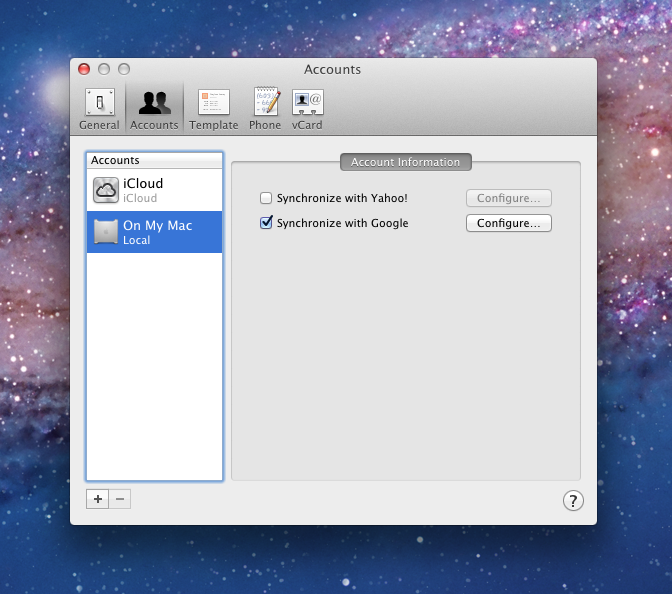 Just launch the Address Book, go to Preferences, and select the On My Mac in the Accounts pane. Next, check the Synchronize with Google option, click the Configure… button and enter your Google account username/email and password. That’s it, no more missing contacts!